We are so in love! They are tiny and sleepy and wrinkly and perfect. The past few days have been a happy blur. Thank you for all the sweet comments and messages on Facebook, Instagram, and Snapchat these past few days. When it comes to naming children, Sam and I like to pick something we like for first names, and family names for middle names. 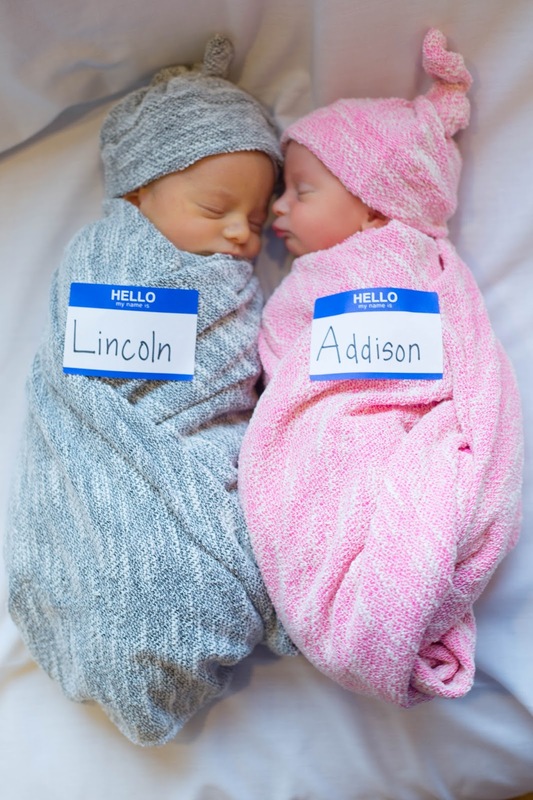 We really liked Addison and Lincoln for first names (although Lincoln is actually a family name too). Link's middle name is Ross, after my father, and we really hope he'll live up to his name and his awesome grandpa as he grows up. Our little Addie has three amazing grandmas - Lynnanne, Krysti Anne, and Ann. We are so happy that she can share names with all three grandmothers, and hope she feels their influence her whole life. And now excuse me as I go get more snuggles - and hopefully sneak a nap in too. 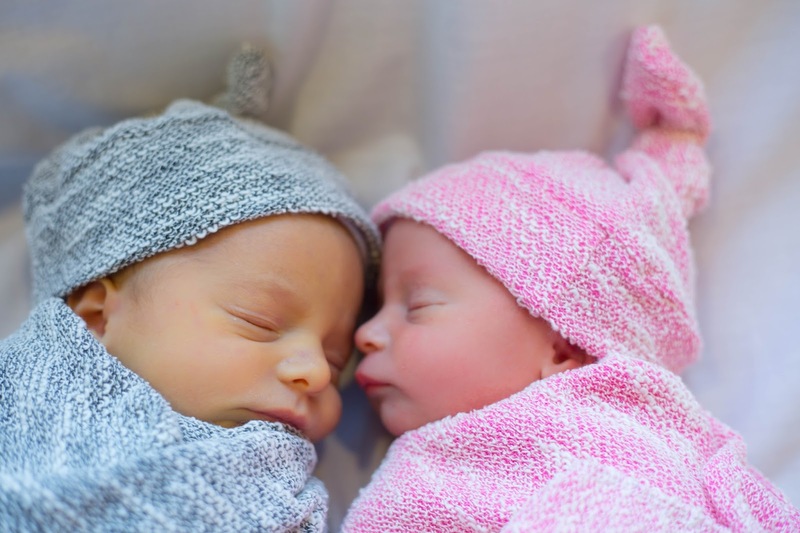 We're so happy our twins are here!